Leota Woodinville Real Estate | Leota Homes for Sale! You can view Leota Woodinville homes for sale on this page. And, you can see details of Leota properties on the MLS market within the last two days when you click on the home for sale. You can view Leota homes in all price ranges. As your Woodinville realtor, I will work with you and show you only homes that meet your criteria. I want to find the best home for you! The Leota neighborhood was named after Lake Leota in Woodinville. It is a fairly small lake and no motorized vehicles are allowed on it. The neighborhood of Leota in Woodinville runs north of NE 175th Street and east of Highway 522. You can view a map of the neighborhood. You can view available homes for sale in the Leota neighborhood of Woodinville below. 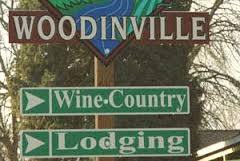 In addition, you can search for other homes for sale in Woodinville by clicking on Woodinville ﻿Homes for Sale.